Creative Commons Licenses, despite going to great pains to be clear and easily understood, are routinely confused and misinterpreted. In my experience, with both this site and other works of mine licensed under various Creative Commons terms, a very small percentage of all uses actually fully comply with the license, less than about 5%. Though most of the uses do try to comply with the spirit of the license, which is why I don’t object to these uses, complying with a Creative Commons License, contrary to popular belief, is not merely a matter of giving a byline and being done. Meeting the terms of the license involves a little bit more effort, though not a significant amount. 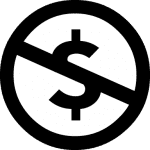 So, if you plan on using Creative Commons-licensed works, here is a very quick primer on what you need to do to make sure that your use complies with the license fully and avoids any possible argument. When looking at the main 6 Creative Commons licenses (Note: I’m not delving into the lesser-known ones such as CC0.) There are five different elements to worry about. Note however that not all licenses have every element. You have to read the license deed itself to find out whether some of these restrictions apply. 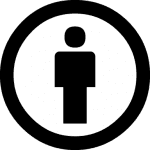 All of the major Creative Commons Licenses require attribution. However, applying it is not as simple as some think. First, the author technically gets first choice in how attribution should be applied. The deed itself says “You must attribute the work in the manner specified by the author or licensor.” so, if the author has a specific way they want to be attributed, that’s the way to go. The license allows for you to do this as appropriate for your use of the work. So, for example a Web use would likely require a search-engine friendly link where a printed use would require a footnote. The guidance is admittedly vague here, especially for non-Web uses, but if you act in good faith and give attribution as soundly as possible, meeting the requirements above, you should be ok.
Also, it is important to note that your attribution should not hint at any kind of endorsement from the licensor. That too would be a violation of the terms. With every copy of the work, you are also required to either provide a copy of the license it self or a link (URI) to it. This is, without a doubt, the most forgotten element of complying with the license. 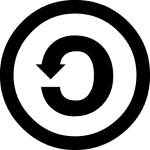 The purpose for this is to indicate the terms under which you are using the work, both to others who see your copies and to the original licensor. It “closes the loop” of the license. Failure to do this is a failure to complete the terms of the CC license, it is that simple. Some licenses disallow commercial use. If that is the case, you need to make sure that your use complies with that element of the license. Obviously that leaves a fair amount of gray area, especially on the Web. This is part of the reason why the Creative Commons Organization recently comissioned a study on commercial use. The good news from the study was that, while there was gray area, users of CC works were more likely to define a use as commercial than those who were granting the license. As such, most likely, if a user thinks that a use is non-commercial, the licensor will agree. This is part of the reason why disputes over this element have been extremely rare. That being said, it’s best to be careful. If you feel your use in any way meets the definition above, you should probably avoid using the work if the license requires non-commercial use. If you have any questions about a specific scenario, check the full study and see if it was one of the ones polled or, even better, ask the licensor directly. When dealing with vanilla copyright law, derivative works is a tremendous mess. Defining the line between an original work and a derivative one is a hair-pulling mess. Fortunately though, there is no such issue with CC licenses. In short, any time you modify CC licensed work to create another work, be it to translate it, rewrite it remix it, it is considered a derivative under the license and you need to make sure you have permission in order to do that. However, you do not need this permission to copy and paste a work into your site as that is considered a “Collective Work”, similar to a periodical. You are allowed to modify the work as far as is “technically necessary to exercise the rights in other media and formats”. This would include things such as converting a movie to another type to upload it to YouTube. But beyond those necessary changes, the work must remain intact and separate from other works. Finally, many sites that do allow derivative works to be created add an additional stipulation, known as the share-alike requirement, that stipulates the new work be placed under the same terms. In many ways, it is similar to the GPL and similar open-source licenses that allow free use of a work so long as new creations are licensed under the same terms. These licenses prevent reusers from making derivative works from a CC-licensed work and then locking the new creation away (at least the parts that can be separated from the original). This only affects derivative uses of the work, not ones that keep the original completely intact and do not build upon it. It ensures that the new content that is added to the work is licensed the same as the original. So, if you use a share-alike work in a derivative manner, you have to both complete the terms of the original license (attribution, link to license, etc.) but you also have to license the new work under the same terms. This makes compliance, essentially, a two-step process. On top of the main compliance issues, there are a few other items that you probably need to be aware of. No DRM Allowed: If you use a CC-licensed work, you are barred from placing any copy controls on it. This seems obvious as CC licenses are specifically about allowing copying, but you need to be aware of this if you use any copy control on your site. 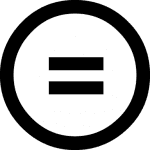 No Other Rights Affected: Other rights that might be related to the work are not affected. A CC license, for example, is no substitute for a model release. Publicity, moral rights and other related rights are unaffected. This includes your fair use rights as well. All Rights are Negotiable: Finally, a CC license is not set in stone. As long as you get the copyright holder’s permission, you can go beyond the terms of the license. If you want to make use of a work that goes beyond the license or may be questionable, ask. If you even glance at the full legalese version of the license, you can quickly see that it is not as simple as the deed seems to make it out to be. There are nuances and variables that the legalese version explains that the simple deed cannot adequately. Though many of these issues won’t affect you, many seem to relate only to the making of records, it is important to be aware of them. So, if you have a moment, read through the full legalese on any CC license. Though it is written for attorneys, it isn’t so jargon-filled as to be indecipherable to mere mortals. Though this post should give you a good primer, it’s no substitute for your own research, especially if it only takes a few minutes to complete.